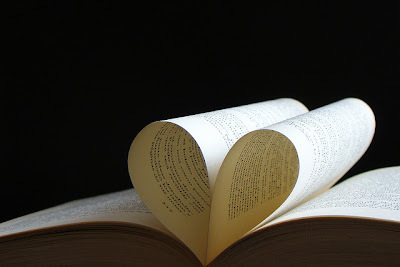 In honor of Valentine's Day, the Crouch Fine Arts Library at Baylor University is highlighting books from its special collections that reflect the heart and things of the heart. 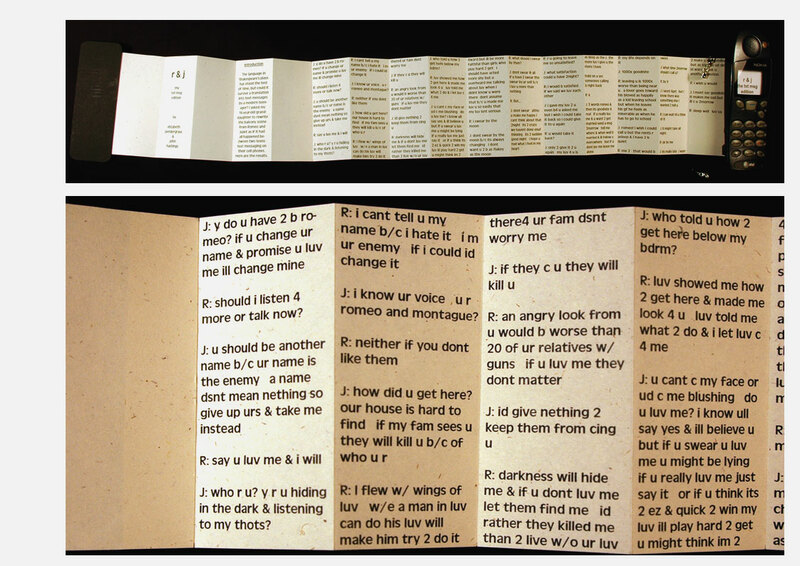 Except for a facsimile of the heart-shaped Chansonnier de Jean de Montchenu from the fifteenth century, the books are by contemporary artists. All the images are accompanied by explanatory text. I particularly enjoyed the humor of this one by John Hastings. "The language in Shakespeare's plays has stood the test of time, but could it survive a translation into text messages by a modern teenager? I asked my 16-year-old granddaughter to rewrite the balcony scene from Romeo and Juliet as if it had all happened between two teens text messaging on their cell phones."